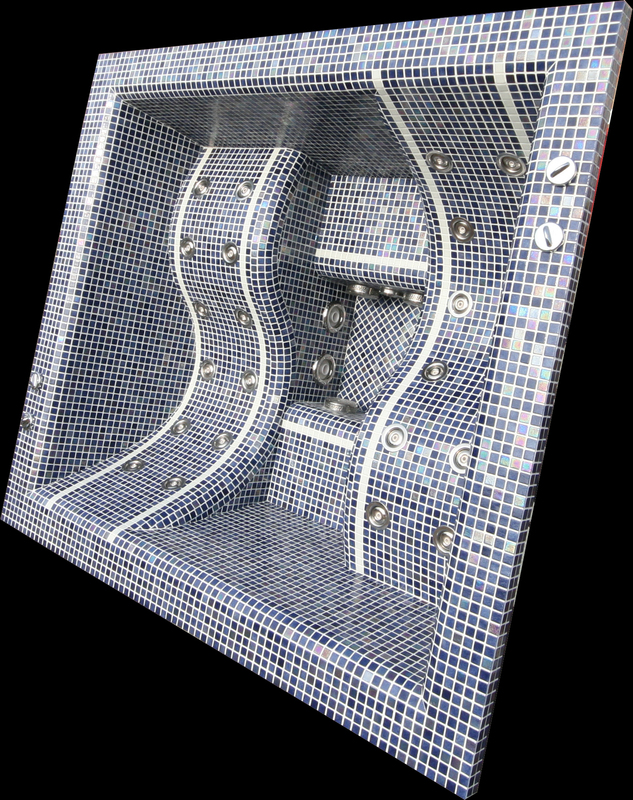 Absolute Mosaic Tiled Spas, Swim Spas and Swimming Pools are made to order to your specification, We offer an extensive standard range of over forty five spas, swim spas and swimming pools for both residential and commercial use. All of our products are plumbed with stainless steel fittings as standard. Our hydro massage jets are countersunk into the tiled shell for your comfort using Absolute’s own unique design. Our standard Tiled spa shells are finished as standard in 20 – 25 mm mosaic tiles, however other sizes are available from 10 mm mosaics and up to large format tiles available in numerous different shades to compliment your interior or exterior design. You may decide to choose from an array of the many beautiful mosaic tiles on the market to finish your chosen spa design. Absolute Spas work closely with the leading tile manufacturers and importers throughout the UK and Europe. If you have a particular tile type, design or shade in mind please do not hesitate to contact us and we will be happy to advise you on the suitability of application to your Absolute spa. Based in the city of Chester in Cheshire, Absolute Spas design and manufacture fully factory prefabricated tiled spas, swim-spas and swimming pools. Our spa, swim spa and swimming pool products come in a range of more than Forty five standard sizes for both commercial and residential use, but the flexibility of our operation allows us to produce imaginative bespoke designs to suit almost any requirement. All of our products can be manufactured in sections for ease of access and joined together on site seamlessly. You no longer have to compromise your interior design for lack of a suitable model. The versatility of our operation allows our tiled spas tiled swim spas and tiled swimming pool products to fit comfortably into any surroundings. We co-ordinate with architects and designers to produce the most efficient, effective and beautiful spa designs available. 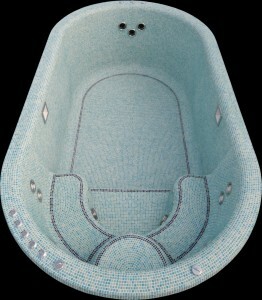 Browse our range of tiled spas and tiled swim spas, contact us for a bespoke quotation.